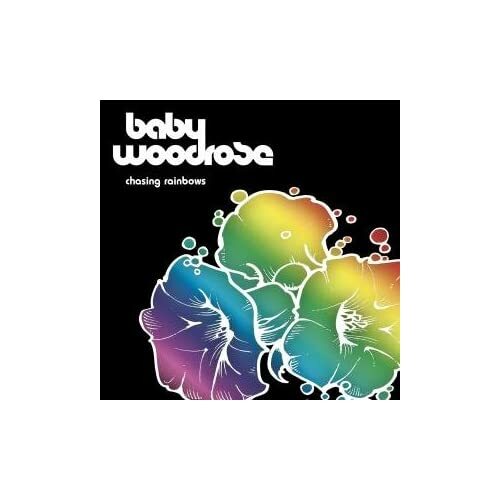 The Album Of The Day is "Chasing Rainbows"
Baby Woodrose, with the release of Chasing Rainbows, continue to amaze the listener with well-crafted psych. "Chasing Rainbows" is very much a modern album ieven n that it displays classic 60's songwriting influences such as Love, The 13th Floor Elevators, The Doors and Group 1850. However upon closer inspection, Baby Woodrose is expanding upon the repertoire / format of the genre, through the unique qualities of their sound. The band possesses that "otherworldly" quality of time and space that all great psych groups inhabit. "Someone to Love" starts the CD with a distorted guitar - organ introduction. A riff is developed and the rhythm section follows suit. The song follows a classic pattern of verse - chorus - verse. "Someone to Love" combined with "I'm Gonna Make You Mine", the second song, both have memorable choruses that leave an imprint on you along with those bouncy organ riffs, fuzzed out riffs and catchy vocals. For the third song, "Let Yourself Go", the band - Lorenzo Woodrose (guitars, organs and vocals), Fuzz Daddy (drums and percussion) and The Moody Guru (bass and tempura) - get down with a heavier workout. The band really shines on this song: farfisa riffs, wah wah guitar leads and echoed vocals. A similar approach is taken later in the album with the title track "Chasing Rainbows". A real deep bass riff pulls the song together, leaving the guitar to spew distorted riffs and the drums to accent the proceedings. One aspect of both songs is the passionate vocal styling of Lorenzo Woodrose. Vocally, he has a voice that is emotionally charged and soulful. One of the other great qualities of Chasing Rainbows is the softer moments throughout the album. A memorable presence is felt in several songs. "Lillith" has an unbeatable combination of folk inspired guitar accompanied by haunting pedal steel playing. "In Your Life" is sheer pop bliss. Raga percussion, sitar, bells and acoustic guitar create a backdrop for Lorenzo's sweet vocals. The drums are then introduced two thirds into the song along with distorted guitar. "No More Darkness" is a tale of heartbreak filled with punk attitude. The background vocals are especially noteworthy. "No More Darkness" then segues into the soaring heights of "Dark Twin". The band's unique songwriting abilities, and ability to break away from convention, become evident on this track. The song "Dark Twin" feels almost like a song from the Middle Ages. Filled with a repetitive bass line, acoustic guitars, bells, organ and a drum march, the song is somber but yet beautiful in it's orchestration. Baby Woodrose's fourth release is d a memorable CD that will warrant repeated listening over the years to come. "Chasing Rainbows" is an album that is filled with so much in terms of quality and effort placed on the songs ability to transcend the listener.